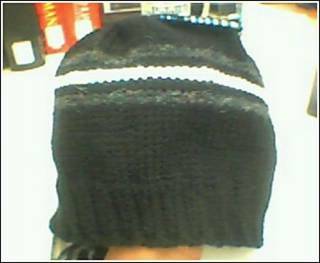 almost done with my brother's first london beanie. i've been taking these pix with the camera in my cell phone...they're not the best but they get the point across. this one is black with 2 gray stripes and 1 white stripe. i hope to finish this tonight and start another one in brown with tan and eggshell stripes.